Many have a vision of wine writers tasting wines at glorious estates in the Napa Valley sitting at a table draped with a starched, white table cloth, in perfectly landscaped surroundings. The writer is almost certainly seduced by the experience and the glowing wine reviews that follow reflect it. Now the reality. I am in the backyard at a winemaker’s home in Napa on a sunny afternoon sitting at a well-used picnic table. In the background are a roaming, barking dog, a strutting chicken, and four young children laughing and energetically playing together. I am tasting wine while a soccer ball whizzes by and a 3-year old comes to the table to ask her winemaker mother to help her go to the bathroom, her face smeared with ice cream that also drips down her arm. All formality was thrown aside, and as I chatted with Faith Armstrong- Foster and sampled her creative wines, I realized that this was a welcome antidote to hi-collared wine tasting. Faith’s endearing story was told previously in the PinotFile after I first met her two years ago: www.princeofpinot.com/article/1337/. She attended the University of California at Davis on a full Regents scholarship and graduated in 2006 with highest honors. Her subsequent marriage to Sean Foster, the Senior Winemaker at Merryvale Vineyards, derailed her winemaking plans initially and she settled into family life in Napa. In 2009, she finally launched her own label, Onward Wines, when she had the opportunity to source Pinot Noir from Cerise Vineyard in the Anderson Valley. A second highly desirable source of Pinot Noir was found in 35-year-old Martini clone grapes from Hawkeye Ranch in Redwood Valley. Faith has crafted several varietals including Carignan, Grenache, Grenache Blanc, Albarino, Verdelho and blends thereof under the Farmers Jane Wine Co. label that is a partnership with another winemaker. Her first love remains Pinot Noir and Onward Wines is her main focus and pride. Beginning in 2013, she began exploring pétillant naturale wines made with Malvasia Bianca grapes from Capp Inn Ranch in Suisin Valley. Pétillant naturel (nicknamed “pet-nat”) is a type of sparkling wine made in the méthode ancestrale process traditionally used in France. It has caught on in California in recent years, and is a favorite of sommeliers for restaurant tasting menus. The name means “mildly naturally sparkling” in French. Typically, grapes are whole cluster pressed, and undergo primary fermentation in cold vats with natural yeasts until alcohol reaches 1º-6º Brix. After settling, some of the lees are removed from the unfinished wine (avoiding the need for dosage) but much of the active yeast remains. The juice is then bottled and topped with a crown cap, and continues its primary fermentation in bottle, capturing the carbon dioxide that is naturally released. Usually there is no dosage or addition of yeast before a second bubble-producing fermentation in bottle that is done in méthode champenoise sparkling wine production. There are no strict rules for its production allowing winemakers to be creative, and no special wine making equipment is required for pet-nat, unlike traditional Champagne. The process is tricky, however, and has been called the “Russian roulette version” of sparkling wine since the process in the bottle is alive, a number of things can go wrong, and if warmed up, bottles can explode. In 2014, Faith bottled three different versions of her Malvasia Bianca Pet-Nat. In each case her winemaking goal was to keep the sediment low to avoid disgorgement, finish dry and have half the pressure of a normal sparkling wine. All grapes were picked on the same day (August 19), and vinified differently stylistically, creating three unique expressions. Malvasia Bianca was chosen because of its effusive aromatics and high natural acidity. All three 2014 wines have been released into the marketplace and are meant to be drunk side-by- side. Because of the winemaking process, the wines have a light lemon yellow color, are slightly cloudy and have a delicate, but pleasing fizz. 12.1% alc., 255 cases, $24 (sold out). · Aromas of lemon, pear, vanilla cream and yeast. Lovely flavors of peach, pear, lemon and grapefruit with vibrant effervescence, finishing with lemon-driven length and bone-dry lift. 12.1% alc., 350 cases, pH 3.10, $24. · Intense lemon, pear, peach and agave aromas. Very flavorful with notes of lemon, pear, peach, blood orange and vanilla. Pleasing acidity and some finishing length. More color, flavor, aromatic brightness, and less astringency than the 2013 version. 12.4% alc., 390 cases, pH 3.10, $24. · Easy to like, with some richness of flavors including citrus and pear, finishing with palate-cleansing dryness. 11.3% alc., 90 cases, pH 3.08%, $24. After grapes were de-stemmed, they were fermented on the skins with hand punch downs in a small tank. 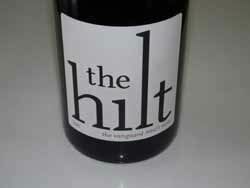 The wine was pulled off the skins at 1º Brix, sent to barrel, and bottled unfiltered. · Softer and richer on the palate than the stainless steel fermented version with bright, crisp flavors of citrus, fresh apricots and walnuts. The Onward Pinot Noir program is focused on two distinctly different vineyards and the wines are vineyard-designated as are all Onward wines. Hawkeye Ranch is located in the Redwood Valley AVA of Mendocino County in the upper reaches of the Russian River. The Martini clone Pinot Noir vines were originally planted in the 1970s and are farmed by a fifth generation family of growers. Replanting is ongoing using a selection of the best old vines. Crop load and vine vigor are naturally balanced, allowing for organic farming. The resultant Pinot Noir wines tend to be red-fruited with finesse and inviting charm, described as “pretty” by Faith. Onward is the only winery to vineyard-designate Hawkeye Ranch Pinot Noir. 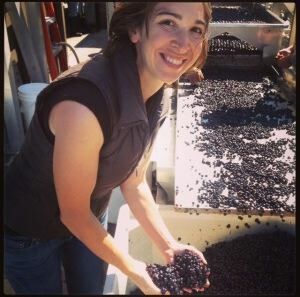 Faith has obtained more rows of grapes beginning with the 2013 vintage, allowing her to vinify the Hawkeye Ranch Pinot Noir Rosé in a dedicated fashion with minimal saignée. Faith considers her rosé to be a “year-round style of California rosé,” and laments that the price of $20 is crazy considering the elevated price of Pinot Noir grapes. A tiny amount of Cerise Vineyard Rosé of Pinot Noir was produced in the 2014 vintage. I would suggest grilled salmon with the Hawkeye, and braised short ribs with the Cerise. Either way, I am checking into Hotel California and ordering the Onward. Onward wines are available at a number of fine restaurants in San Francisco including Bar Tartine, Central Kitchen, Gary Danko and Michael Mina, and in New York City at Craft, db Bistro Modern and Momofuku Ko, as well as select retailers in these cities. Joining the mailing list is the best way to acquire the wines. 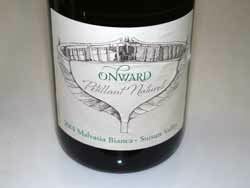 The wines are not sold online but you can contact Faith at 707-812-1777 or salesinquiries@onwardwines.com. 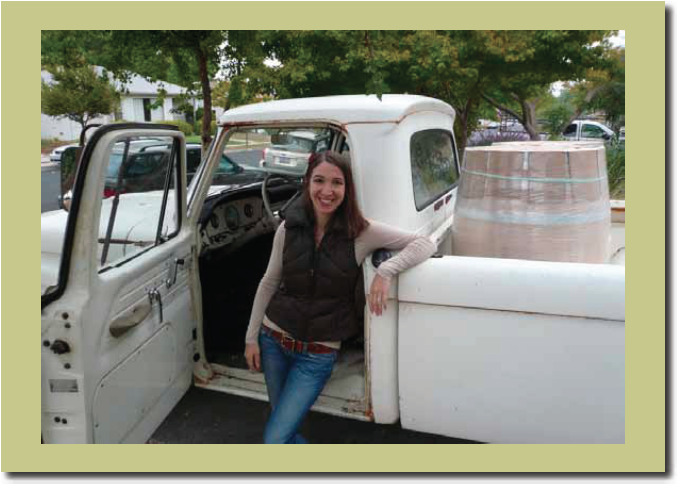 An “Up Close and Personal” winemaker profile for Faith is featured on the last page of this issue. Garry Brooks left the lucrative world of technology to pursue his dream of making wine. He worked part time at Ravenswood while earning a degree in viticulture and enology from UC Davis. He made his first Pinot Noir at Acacia Winery in 2007 and subsequently worked at Kosta Browne with Shane Finley and Michael Browne, and Dutton-Goldfield with Dan Goldfield. It was Dan who introduced him to the unique vineyards of Marin County. The excellent 2012 Brooks Note Weir Vineyard Pinot Noir was previously reviewed. Visit the website to join the mailing list or to purchase wine: www.brooks-note-winery-myshopify.com. 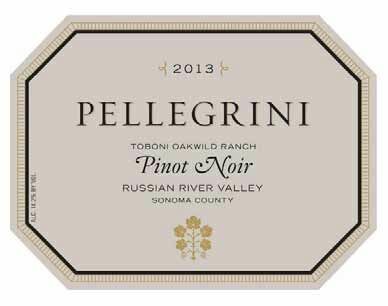 Year in and year out, one of my favorite Russian River Valley Pinot Noirs crafted by long time Rochioli Cellar Master, Terry Bering, who has been making Pinot Noir since 1985. He produces a single wine that is composed of 100% fruit from Rochioli vineyards including the River Block planted to the West Block selection, the Flak Vineyard planted also to the West Block selection in the late 1980s on Westside Road, and clones 777, 115 and 667 from three different Rochioli farmed vineyards. Terry feels that his wines reach their prime at 4 to 7 years after release. 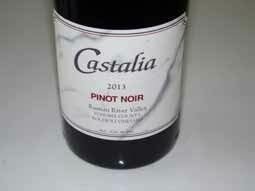 Visit www.castaliawines.com to order. Proprietor and winemaker Mark Davis crafts small amounts of Russian River Valley Pinot Noir from several vineyard sources. He graduated from UC Davis with honors and received an honorary department citation for outstanding achievement in viticulture and enology. Mark has worked several vintages across Northern California, Australia and South Africa, and is currently also the assistant winemaker at O’Brian Estate in the Napa Valley. The wine is sold on the website at www.cobdenwini.com. My second vintage fling with the wines of owner Gregory Hayes who has over two decades of experience in the wine industry. The consulting winemaker is Kent Humphrey (Eric Kent Wines). 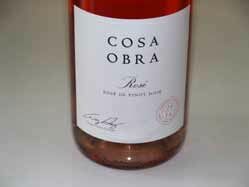 The wines are quite good for the price, and available on the website at www.cosaobra.com. Brothers-in-laws August Sebastiani and winemaker Kendrick Coakley launched this premium Pinot Noir label in 2014 as part of The Other Guys portfolio of wines. They explore rural wine sub-regions throughout Sonoma County, selecting fruit from premium vineyards. Visit www.togwines.com. 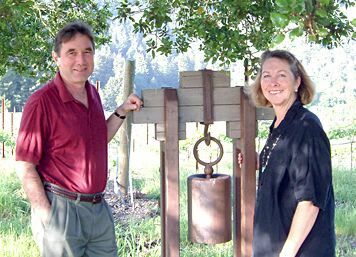 Dan and Ellen Haak Kessler offer limited production Pinot Noir, Rosé and Chardonnay from their 29-acre vineyard in the Santa Rita Hills. Dan, an escapee from the tech world, is both the winegrower and winemaker. The vineyard is located on Highway 246, 11 miles west of Buellton in a cool portion of the Sta. Rita Hills AVA. Planted in 2005, there are seven Pinot Noir clones on three different rootstocks among 27 acres and three clones of Chardonnay planted in 2.5-acres. Yields are extremely low: 1.2-1.5 tons per acre for Pinot Noir and 1.5-2.0 tons per acre for Chardonnay. Vineyard practices are strictly organic. The wines reviewed here are extremely good values. Visit www.kesslerhaakwine.com. Winemaker Greg Stach sourced 21 vineyards from Sonoma County in the North to Santa Barbara County in the South for the 2013 vintage of Overlook Chardonnay, including Bald Mountain in Sonoma Valley, Lone Oak in the Russian River Valley, Flocchini in the Sonoma Coast, and Bien Nacido in the Santa Maria Valley. The 2013 Overlook Pinot Noir is the second vintage of a wine produced in the Overlook style. Both wines are widely distributed at wine and grocery stores nationwide. 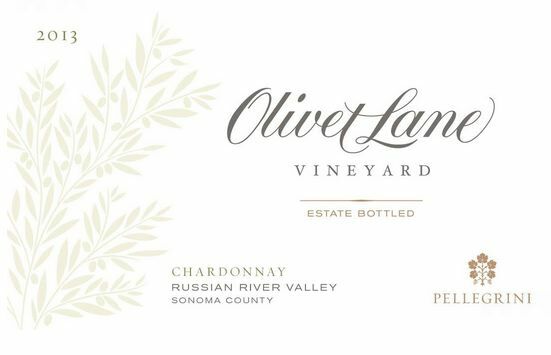 Landmarks vineyards is nestled at the base of the Mayacamas Mountains in the Sonoma Valley, and has been producing ultra-premium Chardonnay and Pinot Noir since 1974. Visit www.landmarkvineyards.com. Partners David Sartain and Jared Lee produce a Derbyshire Vineyard Pinot Noir from the San Luis Obispo appellation. The wine is available on the website at www.lastlightwine.com. Donald Patz, James Hall, Anne Moses and Heather Patz founded this winery nearly 30 years ago and have turned it into one of California’s most highly regarded sources for single-vineyard Pinot Noirs and Chardonnays from primarily Sonoma County. Many of their vineyard sources are legendary, such as Chenoweth Ranch, Dutton Ranch, Hyde Vineyard, Jenkins Ranch, and Pisoni Vineyard. The have opened a new tasting room in Sonoma called the Sonoma House with several tasting options by appointment. The 2012 releases represent the winery’s 25th vintage. 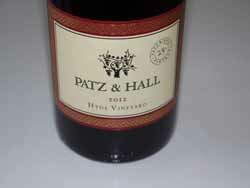 Visit www.patzhall.com. The Chardonnay program began rather “undercover” and the wine was given to supportive customers initially. It proved so popular, that it became available to all customers. The Chardonnay is made exclusively from Sea Smoke Estate Vineyard, including four clones: Wente and Dijon 76, 95 and 96. The vines are planted in 8 acres of sandy soiled, stream side land at one of the lowest elevations on the vineyard. 80% of the wine is made from Wente clone. Although there are many physicians who have become winery owners, winegrowers and winemakers in California, Dr. Tony Truchard was one of the first. He bought his first 20 acres on the Napa side of Carneros in 1973 while still practicing internal medicine in Reno, Nevada. He continued to acquire neighboring parcels until the winery now farms 270 acres of primarily Pinot Noir and Chardonnay. All Truchard wines are 100% estate grown and vinified by winemaker Sal De Ianni who has been at Truchard since 1998. Truchard is a magnificent and historical estate to visit and tours and tastings are available by appointment. Visit www.truchardvineyards.com. As readers of the PinotFile know, I am a big fan of the wines from Windy Oaks Estate and an admirer of winemaker and proprietor Jim Schultze. Along with spouse Judy, the couple farm 26 acres of Pinot Noir and 1 acre of Chardonnay on a windy ridge in Corralitos, at 1,000 feet elevation, at the southern end of the Santa Cruz Mountains, overlooking Monterey Bay. Their first vintage was 1999 and the following year they built a winery which they continue to use today. Their son, Spencer, joined Windy Oaks as an assistant winemaker in 2011, and Lucas Orme joined the crew to assist in winemaking and vineyard management. The Schultze’s other son, James, helps out in the tasting room on Saturdays. The winery has a large following and most of the wine is sold through a mailing list and the Wine Group wine club. Visit www.windyoaksestate.com. The 2013 wines are elegantly styled with very modest tannins. Over the last 50 years of Oregon’s modern winegrowing history, Chardonnay has languished behind Pinot Noir and Pinot Gris, Oregon’s two signature varietals. Pinot Gris had not found notoriety in wine regions other than Alsace, France, seemed perfectly suitable to Oregon’s climate, and was a heritage grape, having been brought to the Willamette Valley by David Lett and established in the Dundee Hills in 1966. The early 1970s plantings of Chardonnay in California were primarily Wente clone (FPS 04 and FPS 05, also known as clone 108) and this became the most widely planted Chardonnay clone. Oregon’s earliest Chardonnay plantings were established by David Lett using cuttings from the Napa Valley that had been planted by Jerry Draper at Draper Ranch. These plantings date to 1943 and were originally sourced from Louis Martini’s Stanley Ranch in Carneros, planted with a diversity of European vines in the mid-1930s. Many of the other early Oregon winegrowing pioneers who came from California also established heritage clones of Chardonnay in early Oregon plantings. The Dijon clones of Chardonnay were brought to North America by the Oregonians who had found that California’s heritage clones, in particular the Wente clone, performed poorly in Oregon, often proving to be an unacceptable match to Oregon’s climate. Although the heritage Chardonnay clones frequently failed to ripen and produced wines that were thin, acidic, and lacking in character, this wasn’t universally true, as Wente clone Chardonnay performed well for example at Bethel Heights in the Eola-Amity Hills. It wasn’t just the clones that were at fault. The early Oregon vintners were inexperienced with the variety and many wines showed too much of the winemaker’s imprint and far too much oak overlay. In addition, the Chardonnay vines were often planted in the wrong sites and the search for proper terroir for Chardonnay continues in Oregon to this day. Chardonnay should be successful in Oregon as the Willamette Valley has a similar climate to that of Burgundy. In the mid-1980s, David Adelsheim of Adelsheim Vineyard and Ron Cameron at Oregon State University worked together to establish relations with Professor Raymond Bernard of ONIVINS in Dijon, France, and Alex Schaeffer of INRA in Colmar, France. On a prior visit to Burgundy, Adelsheim realized that the Chardonnay grapes there were harvested at the same time as the Pinot Noir, or even earlier, while Oregon’s Chardonnay grapes were being harvested later than Pinot Noir. This was the impetus for Adelsheim to coax Bernard into sending Oregon some of the Burgundians’ best Chardonnay clones. The Oregon State University program imported eight French Chardonnay clones selected by Bernard from Burgundian vineyards. By 1987, some of the French Chardonnay clones (now known as Dijon clones because of the return address on the shipping package) were made available for the public collection at FPS and included (French clone numbers) 76, 77, 78, 96, 352, and 277 (352 was from l’Espiguette and others were from Dijon). The complicated history of Chardonnay and the selections at FPS is told in the FPS Grape Program Newsletter from 2007: www.iv.ucdavis/files/24489.pdf. The French Dijon clones were widely introduced into Oregon in the early 1990s. The planting of Dijon clones 76 and 96 in Block 8-1990 at Knudsen Vineyards is the oldest planting of these clones in Oregon and probably the oldest planting of these clones in the US. The Dijon clones performed well, maturing before the bad weather set in at the end of Oregon’s harvest, and producing Chardonnays with excellent structure and balanced acidity. Clone 96 became the most frequently propagated and clone 77 a popular clone of the musqué type. 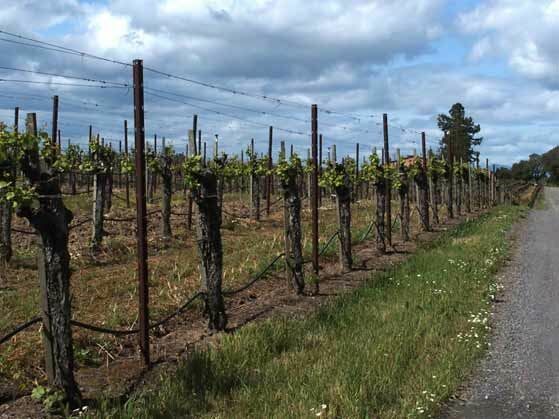 According to statistics compiled by the Department of Agriculture & Research Economics, Oregon State University and the National Agriculture Statistics Service, Oregon had 272 acres of Chardonnay planted in 1981. By 1987, acreage had more than tripled (1,006 acres), but by 2005 the acreage had fallen to 842, the fewest since the 1986 level of 873 acres, due in part to the popularity of Pinot Gris. In 2012, the total had increased to 1,160 acres, about the same as 1989, but Pinot Gris plantings were still triple that of Chardonnay in 2012. Knudsen Vineyards was established in 1971 and is one of the oldest vineyards in the Dundee Hills, and for many years was the largest. 130 acres are planted to Pinot Noir (73%), Chardonnay (24%) and Pinot Meunier (3%). 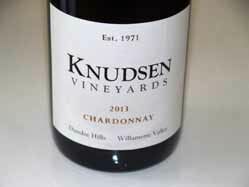 Knudsen Vineyards is releasing a 2013 Chardonnay, the first from Knudsen Vineyards in over 40 years and representative of the new wave of Oregon Chardonnay. Currently available only to mailing list members, the Chardonnay is produced from vines planted in 1993 to Dijon clone 76. The family is releasing this wine to honor Cal and Julia Lee Knudsen, the founders of Knudsen Vineyards. Knudsen Vineyards released its inaugural Pinot Noir last year and the 100 cases sold out in six weeks. 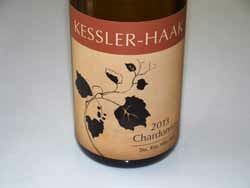 The 2013 Knudsen Vineyards Chardonnay was released March 18. Visit www.knudsenvineyards.com to acquire this or future releases. The exclusive mailing list member offering is closed, but wine will be available for purchase on the website starting Monday, April 20. The 2014 vintage will offer considerably more production with 750 cases of Pinot Noir and 400 cases of Chardonnay. Santa Lucia Highlands Annual Gala Tickets are on sale for the 9th Annual Santa Lucia Highlands Gala on Saturday, May 16, from 1:00 to 4:00 PM at Mer Soleil Winery. Mer Soleil, owned by the Wagner family of Caymus fame, is the northernmost vineyard estate in the Santa Lucia Highlands, and located in Salinas, California. The celebration will be a strolling wine tasting through the barrel cellar of Mer Soleil, a venue not normally open to the public. Guests will have the opportunity to taste rare vintages, in most cases poured by the vintner members of the Santa Lucia Highlands Wine Artisans. The food will include gourmet bites from several of the region’s best chefs from Hahn, Tarpy’s, Carmel Valley Ranch, Bernardus Lodge, Monterey Plaza Hotel, La Balena and more. There will also be a big bottle silent auction benefiting Rancho Cielo Youth Campus. VIP ticket holders can attend two pre-Gala seminars titled “Artisan Cheese Summit” and “Beyond Pinot.” For information and tickets, visit www.SantaLuciaHighlands.com. If you go, be sure to visit wineries with tasting rooms in the Salinas Valley including De Tierra, Talbott vineyards, Manzoni, Puma Road/Ray Franscioni, Hahn SLH Estates, Paraiso Vineyards, Ventana, Sycamore Cellars and Scheid Vineyards. All tasting rooms are located between Highway 68 and 216 just west of Highway 101. 18th Annual Anderson Valley Pinot Noir Festival This is always a special, intimate event with a country carnival atmosphere. This year, the dates are Friday, May 15, 2015, for the Pinot Noir Technical Conference ($95) in Boonville, and Saturday, May 16 for the Grand Tasting of more than 50 producers on the grounds of the Goldeneye Estate ($105). Winemaker dinners will be held Saturday night at Domaine Anderson, Brewery Gulch Inn in Mendocino, Little River Inn on the Mendocino Coast, and the Apple Farm in Philo. Tickets for the Grand Tasting and some of the dinners are nearly sold out. Visit www.avwines.com for tickets. 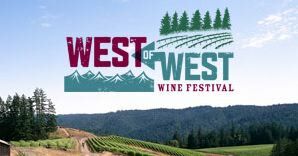 West of West “WOW” Wine Festival Tickets are now available at this special event in Sebastopol, California, that celebrates the wines of the West Sonoma Coast. The weekend of winemaker dinners, unique seminars, a premier tasting, and a closing reception and dinner featuring San Francisco’s hottest chefs, will be held August 1-3, 2015 at The Barlow. The Saturday morning seminar is “The Evolutions of California Cuisine & Wine,” with participating James Beard award-winning chefs Stuart & Nicole Brioza from Statebird Provisions, James Beard finalists Sarah & Evan Rich from Rich Table, and Nick Batta & Cortney Burns from Bar Tartine. The chefs will create unique pairings with a selection of West Sonoma Coast Pinot Noirs. The afternoon seminar will focus on Charles Heintz Vineyard Chardonnay. The Saturday afternoon Grand Tasting will feature more than 40 producers and growers from the West Sonoma Coast. The Grand Tasting will be repeated on Sunday afternoon. For a list of West Sonoma Coast Vintners (WSCV) and tickets to the events, visit www.westsonomacoast.com/west-of-west-festival/. 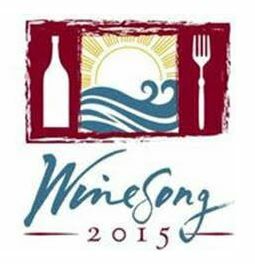 Winesong 2015 The annual WineSong event will be held September 11-12, 2015, on the Mendocino Coast. 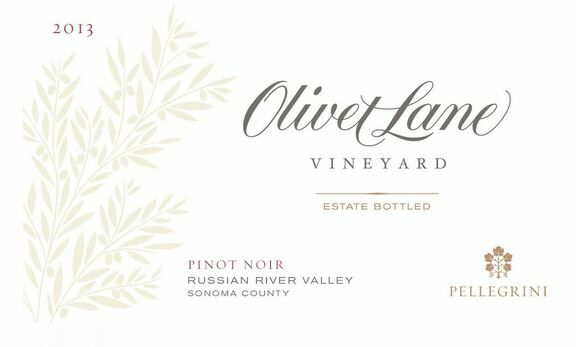 This charitable wine weekend getaway will include a Meet the Winemakers Pinot Noir Celebration at Little River Inn in partnership with the Anderson Valley Winegrowers Association. The following day, guests stroll through the Mendocino Coast Botanical Gardens enjoying an assortment of wine and food from 100 wineries and 50 Northern California restaurants. The celebration continues into the Auction Tents for the main attraction, the Live and Silent Auctions, that raise funds for the Mendocino Coast District Hospital. For information and tickets, visit www.winesong.org. 11th Annual Pinot Days San Francisco This trade, media and consumer tasting will be held Saturday, June 20, 2015, at City View at Metroen, Downtown San Francisco. Over 80 producers of Pinot Noir from California and Oregon (and a few abroad) will be pouring. 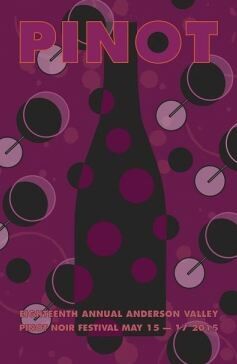 Visit www.pinotdays.com for more information and tickets. 6th Annual Pinot, Pigs & Poets Event One of Omaha, Nebraska’s premier wine and food events, Pinot, Pigs & Poets features Pinot Noir wines and pork dishes from renowned Omaha chefs. Held on June 4, 2015, at the Happy Hollow Club, the evening will also include slam poetry provided by Matt Mason and the Nebraska Writers Collective, as well as vintner and chef competitions. More than 30 wineries will be pouring. The event benefits the Completely KIDS weekend and after-school food programs. Reservations may be made by May 28 at www.pinotandpigs.org. Yamhill-Carlton Down to Earth A gathering of wineries showcasing the Yamhill-Carlton AVA will be held Saturday, April 25, 2015, at Anne Amie Vineyards in Carlton, Oregon. Attendance is limited to 550 people and advance tickets are on sale at www.yamhillcarlton.org until April 24. More than 35 wineries and growers will be participating along with noted McMinnville restaurants. Passport to Gorge Throughout April, the Columbia Gorge wine region will celebrate its wines with its annual passport event featuring special experiences and discounts at 24 wineries. Passports are $25 each. For information and tickets, visit www.gorgewine.com. Penner-Ash Wine Cellars Reunite Celebrity Chefs for Children’s Cancer Association Penner-Ash Wine Cellars will host Bravo’s “Top Chef” Boston contestants Mei Lin, Gregory Gourdet and Doug Adams for a spectacular meal paired with Penner-Ash wines under the stars on July 23, set to a live musical performance by the rising Americana roots sound of Hook and Anchor. The event will raise money for the Children’s Cancer Association and their My MusicRx program. Tickets are $250 per person and can be purchased at www.pennerashstore.com. The dinner and concert will be held the night before the International Pinot Noir Celebration. 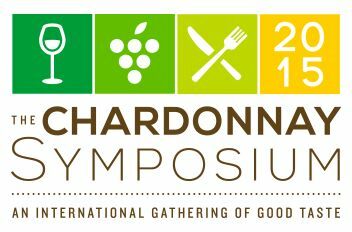 The Chardonnay Symposium The 2015 International Chardonnay Symposium will be held in Pismo Beach and Avila Beach, California, May 28-30, 2015. The event features a series of seminars, educational panels, tastings, winemaker luncheons, and winery tours. Visit www.thechardonnaysymposium.com. Sommelier Larry Stone to Produce Oregon Wine Master Sommelier Larry Stone will be releasing his first Willamette Valley wines in 2015 from the 2013 vintage under the “Lingua Franca” label. The name means “honest tongue.” Stone acquired a vineyard site in the Eola-Amity Hills AVA planted mainly to Pinot Noir with some Chardonnay. It is adjacent Domaine Serene’s Jerusalem Hill Vineyard, Argyle Winery’s Lone Star Vineyard and Domaine Drouhin’s Roserock Vineyard. The first vintage of Lingua Franca wines will be produced at Coehlo Winery using purchased grapes, with estate grown bottlings following in 2016. Stone previously managed Evening Land Vineyards in Oregon after leaving the restaurant business in 2006. He told the drinks business that he sold his personal wine collection to help fund the purchase. Apparently, Stone is reuniting with Burgundy winemaker Dominque Lafon. Brewer-Clifton Sells Majority Interest in Winery Partners Steve Clifton and Greg Brewer announced that they have sold a majority share in their winery to a group of investors led by Ken Fredrickson, a master sommelier and wholesaler (Tenzing Wine & Spirits). As reported in Wine Spectator online, the new investors have a 70 percent stake in the winery while founders Greg Brewer and Steve Clifton, as well as Crystal Clifton, now each own 10 percent of the winery. The sale will allow continued vineyard development and the use of the financial and business experience of the new partnership. Argyle Winery Offers New Tasting Experience Argyle Winery has undergone renovation and new construction to create a new barrel room, and a contemporary indoor and outdoor hospitality center and tasting room in Dundee. The original winery building, a hazelnut drying house, was removed along with other structures. Meeting and event spaces will be located in the original tasting room. A focal point of the new tasting room will be Argyle’s 30,000-bottle wine library which will be located in a climate-controlled area. Dogs Trained to Detect Phylloxera in Australia Researchers at Melbourne University are training dogs to sniff out vineyard pests and diseases, including phylloxera. It is too soon to tell at what stage of phylloxera dogs will detect the pest infestation and whether they can pick it up when the pest is inside roots several feet below the surface. 26th Annual Wine & Spirits Restaurant Poll 50 sommeliers were polled about what wines Americans order most in restaurants in 2014. The average price of Pinot Noir continues to rise to $78, second only to Cabernet Sauvignon at $95. The top wine by the glass was Meiomi California Pinot Noir at an average price of $14. Other Pinot Noir producers in the top 45 wines by the glass were J. Christopher (6), Banshee (18), Chad (23), Copain (26), Coppola (29), LIOCO (29), Mark West (32), Robert Talbott (35), La Crema (39) and Angeline (42). 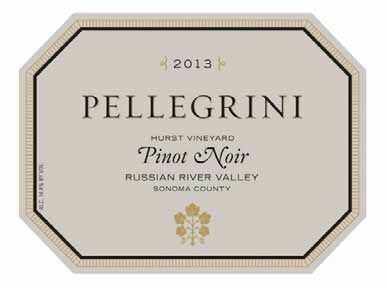 Of the top 50 wine brands ordered in restaurants, the following Pinot Noir producers made the list: Kistler Vineyards (8), Emeritus (11), Meiomi (13), J. Lohr Winery (14), Patz & Hall (16), Merry Edwards (17), Failla (26), La Crema (27), Robert Sinskey Vineyards (35), Frank Family (38), Copain (40), MacMurray Ranch (44), Littorai (45) and Paul Hobbs Winery (46). Pinot Noir’s share of the most popular wines in restaurants remains unchanged, lagging behind Cabernet Sauvignon and a few percentage points ahead of Chardonnay. The top 10 most popular restaurant Pinot Noirs were Emeritus, Meiomi, La Crema, Failla, MacMurray Ranch, Paul Hobbs Winery, Evesham Wood, Joseph Swan, Copain, and Brooks. 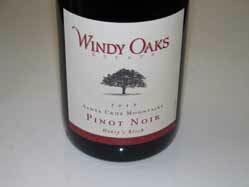 Overall, Pinot Noirs from Oregon and Sonoma County were most popular. 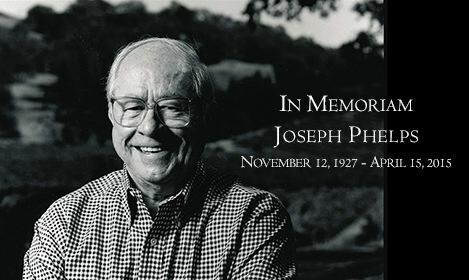 Joseph Phelps In Memoriam Joseph Phelps passed away on April 15, 2015, at his home in St. Helena, California, at the age of 87. He founded Hansel Phelps Construction Company that became the largest construction firm in Colorado and expanded throughout the United States. He was fascinated with wine at an early age, and after establishing an office in the San Francisco Bay area in 1966, began to explore the wine country in Napa and Sonoma counties. He soon was involved in winery construction projects in Napa and Sonoma counties. In 1973, he founded Joseph Phelps Vineyards. His first winemaker was Walter Schug who vinified the first varietally-labeled Syrah in California in 1974. 1974 also marked the creation of a new category of California wine: the proprietary Bordeaux-styled blend known as Insignia. Insignia is annually considered a benchmark for the finest wine that Napa Valley can produce. His legacy also includes Joseph Phelps Freestone Vineyards, the origins of which stemmed from his love of Chardonnay. The Science of Alcohol The March 2015 issue of Scientific American Classics is titled, “Intoxicating: The Science of Alcohol. This issue includes an in-depth collection of articles from the Scientific American archives that describes the long polarizing history of alcohol consumption. 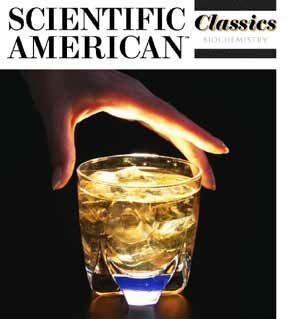 The issue can be downloaded online for $9.99 at http://www.scientificamerican.com/magazine/sa-classics/intoxicating-the-science-of-alcohol/.